P. antinous Pre and Post Molt Pics! 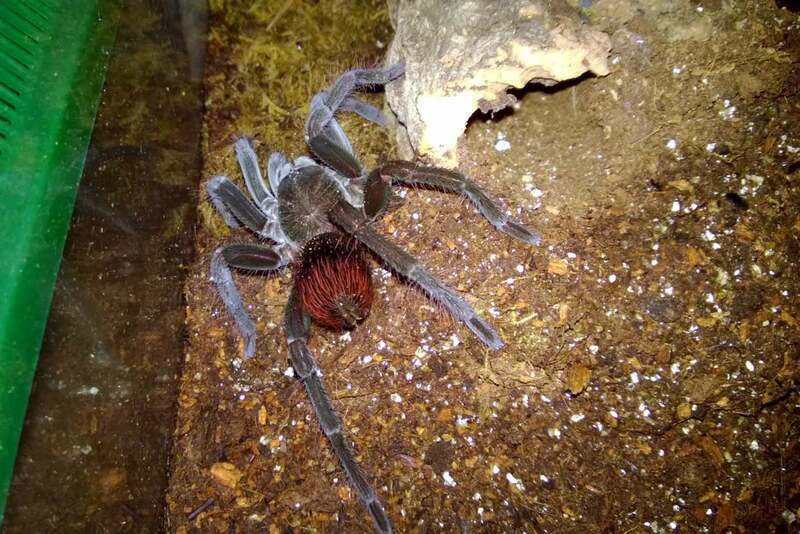 When I purchased my P. antinous a few months ago, it was partly because I had read that they were voracious eaters who made huge size gains between molts. As I have enjoyed watching my female ravage any prey items dropped into her cage, I already knew that she was a lively eater. But what would the next molt bring? Would she really make a huge size jump? The answer is a big HECK YES. 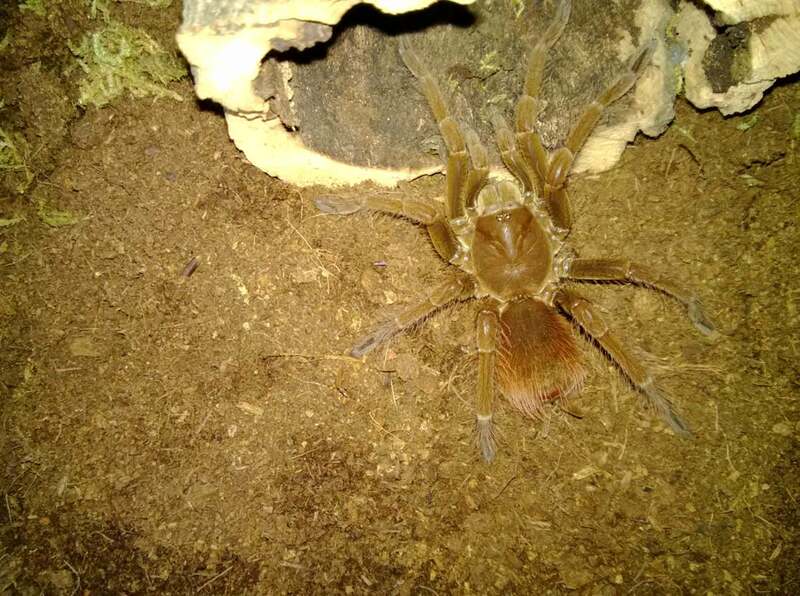 After a few week long pre-molt period, and another week in her den as her new exoskeleton hardened up, my P. antinous female finally reemerged this morning. To say the change in appearance and size is profound would be an understatement. Gone are the rusty red/brown tones she sported before entering promolt. She now sports the dark gray/blue colors that lend her the common name of Steely Blue. Her abdomen is also covered with some very striking red hairs which prove a wonderful contrast to the rest of her body. As for size, when I originally purchased this female, she was a hair over 3.5′. Although I haven’t been able to get an exact measurement yet, she is now definitely 5″ or more. The size change is astounding; the claims about huge size gains are not in the least exaggerated. She is gorgeously leggy and moves like lightning when disturbed. My female P. antinous after her recent molt. She went from around 3.5″ to about 5″. She has already had her first post-molt meal, a large dubia roach, and I’m sure she’ll continue to be a great eater. Now that I’ve seen the growth for myself, I can’t wait to see what the next molt brings.